The writer "entrepreneur" - stop waiting for opportunities to arise. Your are a creator, so create… and put yourself and your work out there but make sure you find your audience! Yolanda Mogatusi, who will be presenting the workshop, is a witty script writer and up and coming young director and co-owner of 1000-Hugs Productions. Having graduated from AFDA in 2006, she leaped into the industry with the, Afrikaans sitcom “Askies”, which she co-created with fellow 1000 Hugs Productions director, Teboho Pietersen. While working on the sitcom, she was selected into business school to study a Postgraduate qualification in Management so she could balance the creative with the know-how. This qualification she received from the internationally accredited Wits Business School. In 2010 she co-created, wrote and directed a teen lifestyle programme for SABC 3, 'Meet Joe Food', which was very well received and ran for 2 seasons. Current projects include writing feature films at lightning speed for local channels and pursuing the dream of making movies! Yolanda has also successfully completed the NFVF Spark writers' programme and was fortunate enough to attend Robert Mckee’s Story Seminar when he was in South Africa in 2011. She attended the 5th Durban talent campus in July 2012 as one of 50 young African filmmakers from around the continent selected into the programme. 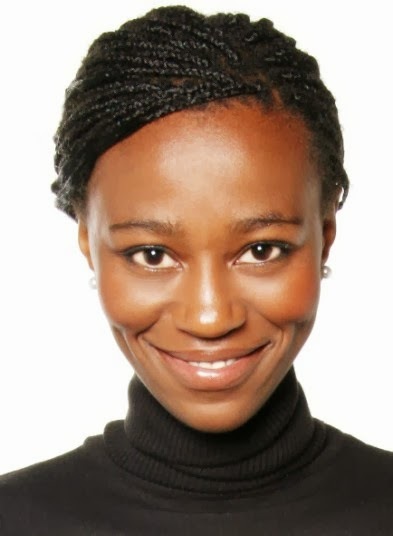 In 2013, she was selected into Focus Features’ Africa First programme with her short film, 'Hair that moves'. She currently sits on the council of the Writers’ Guild of South Africa as treasurer.